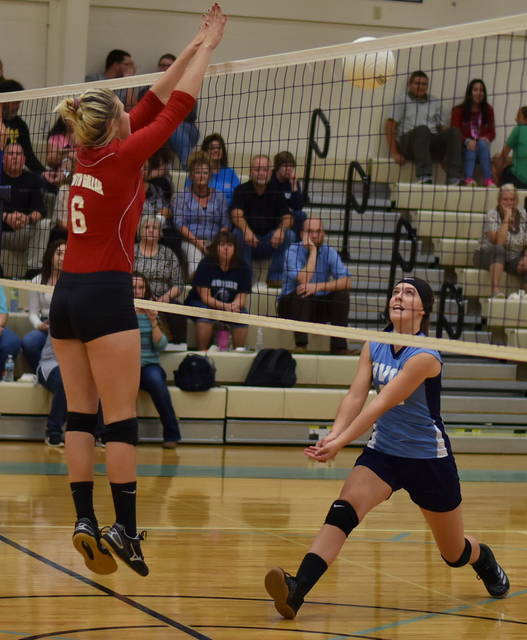 SGHS junior Katie Bowling (3) attempts a spike during the Lady Rebels victory over OVCS on Monday in Gallipolis, Ohio. Lady Defenders’ sophomore Lauren Ragan (32) attempts a dig during the Lady Rebels victory over OVCS on Monday in Gallipolis, Ohio. GALLIPOLIS, Ohio — Twice as nice. 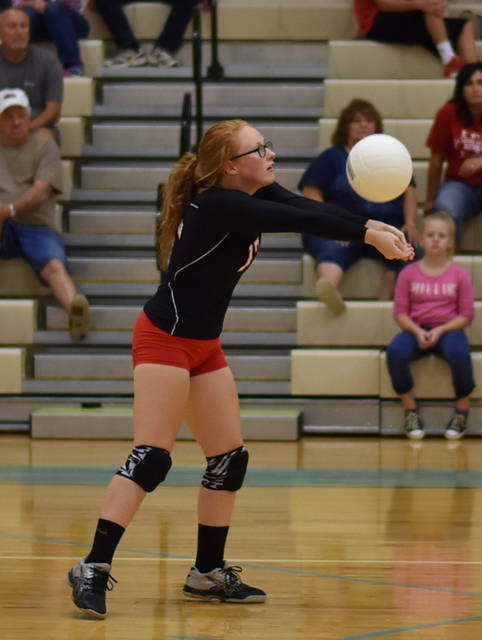 The South Gallia volleyball teamed claimed a three games to none victory over non-conference hosts Ohio Valley Christian to earn a season sweep Tuesday night in Gallia County. In the opening contest, South Gallia (3-5) charged to a 5-1 advantage, but OVCS (4-4) narrowed the margin to 6-3 early in the game. The Lady Rebels, however, utilized a 19-7 scoring run en route to a 25-10 victory. The second game was tightly-contested as the Blue and Gold opened with a 4-0 lead, but SGHS rallied to tie the game at 5-all. After a 7-7 tie, the Red and Gold manufactured a 11-4 scoring run to build a seven-point lead at 18-11. The Lady Defenders managed to close the deficit to four points at 24-21, but SGHS held on to earn a 25-21 win in game two. OVCS opened the third game with an 8-3 lead, but the Lady Rebels rallied with a 5-0 scoring run to knot the score at eight apiece. The two squads would remain in a see-saw battle playing to a total of four ties before SGHS took a 14-13 lead midway through the third set. 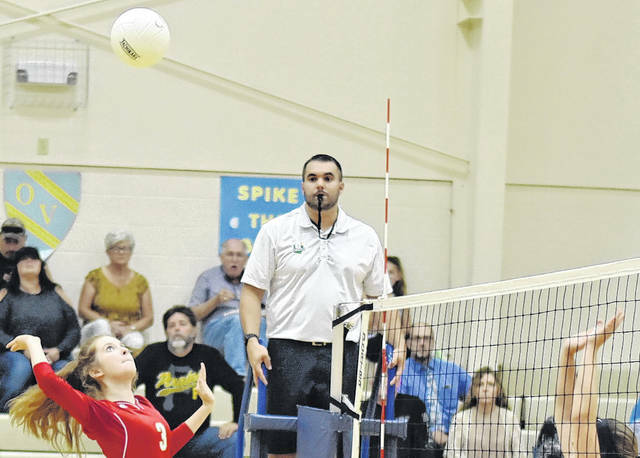 South Gallia never trailed again in the game, as they outscored Ohio Valley Christian 11-7 en route to a 25-20 win and decisive 3-0 victory in the match. Following the triumph, third-year SGHS head coach Sarah Shirley was delighted with her team’s performance. First-year OVCS head coach Andrea Roberts was proud of the fight her team showed, and also acknowledged their need to continue to build on believing in themselves. 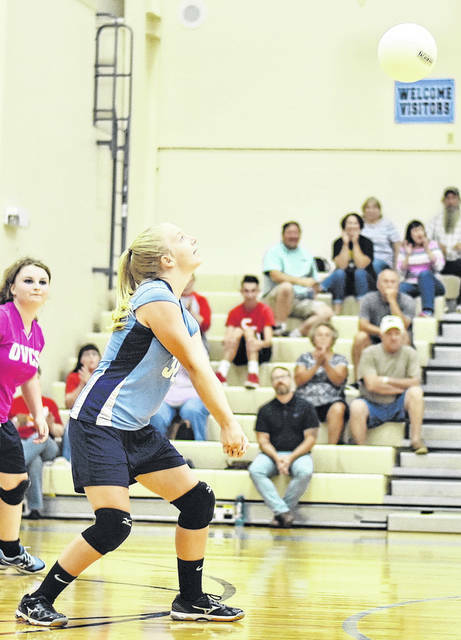 “The first set started out very much like our first match this year against South Gallia,” Roberts said. “Both teams struggled a bit to start so it was as if we had to see which of us were going to come out and start playing. Unfortunately, we lost 25-10 in that set, but I encouraged my girls and told them I believed they could win. I’m a little disappointed in the outcome, but there are some very positive things I saw in our performance in sets two and three. The Lady Rebels service attack was led by junior Amaya Howell with 10 points, including three aces and junior Chrsitine Griffith followed with seven, including one ace. SGHS sophomore Makayla Waugh posted six service points, while Emma Shamblin and Faith Poling were next with five points apiece, respectively. Rachal Colburn followed with four points, as Isabella Cochran closed out the Red and Gold service attack with three. The Lady Defenders service attack was led by Emily Childers and Lauren Ragan with five points apiece, respectively. Lilly Tolliver was next with four service points, while Makala Sizemore and Laura Young added three points each, respectively. Marcie Kessinger posted two points and Chasity Deckard rounded out the OVCS service attack with one point. South Gallia returned to action on Tuesday for a Tri Valley Conference Hocking Division contest versus Southern, while OVCS returns to the hardwood on Thursday to host Ross County.